Evelyn Louise Healy Morgan, 93, of Green Bay, VA passed away on December 22, 2017. 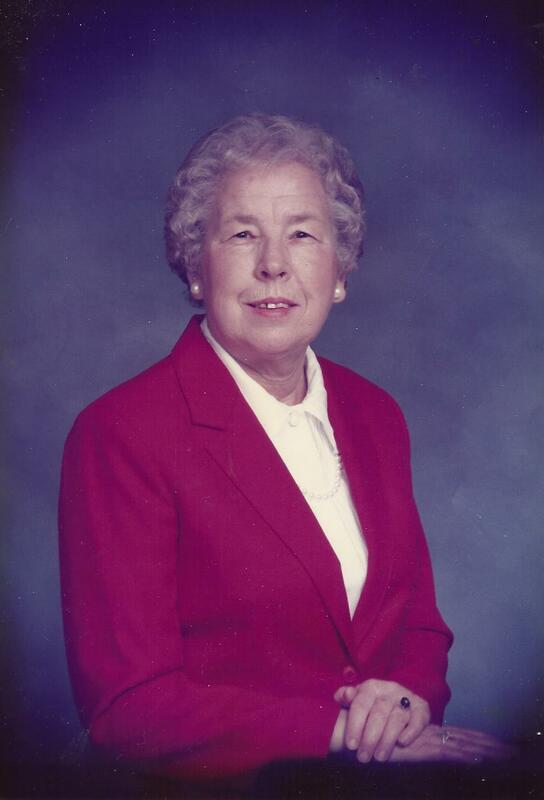 Evelyn was born on December 17, 1924 to Ernest Linwood Healy and Bernice Carneal Healy in Middlesex County, Virginia. She married Raymond Morgan on June 22, 1946 in Grafton, VA. Raymond died in December 1957 and Evelyn raised her three children while working full time for the US Post Office. She was also preceded in death by her sister Ann Nelson and her brothers, Gene Healy, Milton Healy, and Charles Healy and her son-in-law, Joe Nuccio. Evelyn is survived by her daughter Susan Nuccio; and by her sons, Kenneth and wife Winnie; and Ray and wife Donna; three grandchildren, Rebecca (Brian) Millner, AJ (Ashley) Morgan, and Kevin (Danielle) Morgan and six great grandchildren, Nash, Rosie, Grace and Henry Millner and Nathan and Olivia Morgan. She is also survived by her brothers, Edward Healy (Frankie) and James Healy (Ann). Evelyn was the Postmaster of Green Bay, Virginia from 1958 to 1992. She was involved with a number of postmaster conventions. Evelyn was a member of Ledbetter Christian Church and a member of Eastern Star. Evelyn will be remembered for her community caring as she assisted folks with transportation, taking food to families with illness or death, or just a slice of cake to brighten someone’s day. Cooking for her family was a true love of hers. Mowing grass was her favorite hobby with a close second being dancing. She loved life and lived it to the fullest to the very end. Visitation will be held Tuesday, December 26 from 7:00 to 8:30 PM at Browning-Duffer Funeral Home, 110 H Street, Keysville, VA. Funeral Service will be on Wednesday, December 27 at 1:00 PM at the funeral home followed by interment at Sunset Hill Cemetery in Burkeville, Virginia. In lieu of flowers, memorial donations may be made to her church or your favorite charity. The Browning-Duffer Funeral Home is serving the family. So sorry to read Mrs. Morgan’s obituary. She was such a lovely lady and raised one sweet family. May you be blessed with wonderful memories…. Deepest sympathies to Rebecca and her family for their loss. She was a wonderful lady with a great out look on life and a dear family friend. We will miss her and will always remember her chocolate chess pies. A true lifelong friend. We shared many laughs along with wonderful post office memories. She will be dearly missed. Breakfasts were always our time to catch up. She brought love and laughter to us all. Fly high sweet angel. Mrs Morgan was a very Special Lady- Deepest sympathy to the family!! I enjoyed talking with your mom and catching up on the family news, Kenny. She was a very special lady, and she will be missed. My sympathy to you and the family.